Thank You Doug for website. I feel God has led me here. I have just been reading “The Devil’s Final Battle” and am very concerned to say the least about the state of the Catholic Church. I’m in my 40’s so I’ve only known the Vatican II church. It seems that only the Tridentine Mass is authentic worship and the Benedict and Bertone are leading the faithful astray. What is your take on this? I feel betrayed by the Church authorities; yet, I want to fight for truth. Don’t think for a second that a properly celebrated Novus Ordo Mass is in any way less than holy and/or totally pleasing to God. Any time Jesus becomes present for us on the altar, so we can offer him up to God the Father, in spirit and truth, it’s good … no matter the particular rite … so long as that rite is valid and licit … according to the power and authority of the Church. Even though it may not be the absolute best way to worship, the Novus Ordo Mass, when properly celebrated, is still most certainly valid and licit. As for the leadership we Catholics have, these days: The post Vatican II Catholic Church was hijacked by a bunch of liberal, modernist prelates who tried their best to reform the ancient church according to their own image and likeness. The result has been an unparalleled disaster for both the church … and the world. Our previous and current pope was certainly complicit in that affair, either by accident or by design, but the critically important things remain: Jesus is still the head of the church, and the Holy Spirit is still the church’s official advocate and comforter. That tide is slowly turning, but there’s a long, long way to go before things are likely to get appreciably better. Let’s just continue praying, working, and keeping the faith … remembering that God is just and true … and he always hears our prayers. Besides … what else can we do … where else can we go? Thank you Doug for replying so quickly. Yes, where else can we go? There is only one true church and I believe that is the Prevatican 2 church. Can I e-mail you directly? I have questions that may not be prudent for an open forum. You have my e-mail. The Lord Jesus Bless you and keep you. Mr. Lawrence. Funny how Providence opens up windows…thank-you for your website. I have a dilemma. Two sons have defected in different degrees from their Catholic faith. Both are married, and with children. I have been praying for them long and hard, pray to Saints Philomena, St. Dymphna, St. Monica, St. Joseph, Mary….pouring my heart out to “heal” my sons in their individual great deficiencies. Meanwhile, I am doubting the active presence of God in all this. My trust in God is slipping more than I care to admit, tho I go to Mass and Confession often. Have you ever seen the picture of the man sinking in the water, reaching out his hand ? And, as a hand reaches out to save him, I i sink, I slip from the grasp. My worries have slipped into a no trust in God, scenario. Trust is essential to living a faith life, as air is to breathing… is there any possible reason why God is allowing me this “trust-less” period in my life? It is very hard. How do I continue to pray? Thank-you. Most people don’t realize that Moses had already spent 40 years in the desert BEFORE he came across the Burning Bush and met God. Only then did God assign to Moses his true life’s work. Of course, that took 40 more years, and it too, was no “walk in the park”. God too, often takes the long view of things. He knows our own hearts better than we do. He knows you will never stop praying for your children, and he also most certainly hears the prayers of all your previously departed, faithful family members, already in heaven. I too was lost for quite some time, before God once again managed to get my attention. I still can’t figure out how he did it, but I sure am grateful (praise God)! I’m also pretty sure that throughout that long, dark period, my mom wore out a number of good rugs, praying for me. In short, no matter how bleak things might look right now, remember that God has reserved a special place in his heart for moms. He will never abandon or forsake you … nor will he fail to faithfully acknowledge and honor your humble pleas. For now, I urge you to redouble your efforts, pray more frequently, attend Mass more often, and receive the sacraments with greater frequency … all with your sons ultimate conversion/reversion to the faith, in mind. At a more down to earth level … these days, young men are often separated from the practice of their Catholic faith by (real or imagined) sexual issues … most commonly, the practice of artificial birth control. Unless and until those matters are suitably identified, understood, and resolved, the underlying problem tends to persist. If you suspect this might be the case, some professional advice from a knowledgeable priest or deacon will likely be helpful. Continue to ponder all these things in your heart, much as the Blessed Virgin Mary is known to have done. It worked for her. It will work for you. Even with God for a son, Mary too, endured many trials. Always remember that God loves you and he also loves your sons … probably even more than you do. Trust in him for the best possible outcome, especially during those times when he seems to be far, far away … for that is often when he takes special delight in answering fervent prayers. I’m also going to ask Alice, our professional Catholic advice columnist, to respond to your message, from a Catholic mom’s point of view. I’ll email her answer to you, soon. I don’t want to push a subject too far; but, I have just read Fr. Kramer’s book “The Devil’s Final Battle” and find the arguments quite disturbing to say the least. Especially page 97 last 2 paragraphs. What is your take on Fr. Kramer’s credibility? It seems very well documented to me. And if the arguments are true such as page 97, then the October fest coming up is just going to get worse. I agree with Father Kramer on just about every point. Unfortunately, neither the good father or I happen to be the Supreme Pontiff of the Catholic Church. There’s no doubt that the modernist innovations and novelties of the post Vatican II radials have just about managed to wreck the church. The big question is, when and where will the devastation end? I suspect that what we are witnessing is simply the earthly manifestations of the battle going on between the various heavenly powers and principalities, that St. Paul describes. If that is indeed the case, then Father Kramer’s book is very aptly named. By the way, a substantial portion of The Devil’s Final Battle can be read for free on Google Books. I agree we’re witnessing manifestations of the battle going on between heavenly powers and principalities ; and, one third of the stars are cast down from heaven. How does a devoted Catholic keep the Faith? Especially, when November comes and chaos breaks out with all the new changes. I have no fear of the upcoming changes in the Roman Missal. Other than the fact that the revisions are about 40 years late, most people should be able to handle them just fine. As for our ongoing faith strategy: Until Jesus comes back, the only thing we Catholics can do is continue to pray, study, and participate fully and faithfully, in all of the work, worship, sacraments and devotions of the church, just like all the generations of Catholics that came before us. We should also keep a wary eye on the institutional church … both doctrinally and financially … since nothing seems to be beyond the realm of possibility these days, when it comes to scandal. The days of writing checks and then trusting the church to properly administer the funds are over. Holiness and Subsidiarity should be the twin guiding principles of the “future” Catholic Church, along with a continuing emphasis on personal morality and responsibility, in all things, big and small. All with God’s gracious help, of course! I found you after being bullied about by the holier than thou crowd that follows a man named Michael Voris. I viewed a few pieces and got really scared. Now in addition to the post vatican ll changes, comes more radical propaganda. It brought one good thing to me. I searched for some clear information and found your site. I am an “old world catholic” I long for the total return of the traditional mass. One can get lost in their search for a Latin Mass. We need sound honest tradition in dealing with the times as they are. You obviously know that this is not impossible. I just wanted the thank God for getting me up and finding your site. It will indeed help to restore my active prayer and give me the strength to drive that extra time to make it to a Latin Mass. I congratulate your efforts and will pass your information on to the fanatical crowd in hope that they see the light too. It will take a long time to peruse all that you have done, but with God’s help I will. Sir, I am the assistant of “HHH” (Helping Hands for Handicapped). I am Kishan from India. We serve the ministries, churches, schools, houses and different people to translate and proofread or recheck their words (written and recorded) and websites into our languages, Korean, Hebrew, Greek,French, Turkish, Nepali, Arabic, Hindi, Persian, German, Japanese, Chinese, Urdu, Punjabi and many other languages. If you need any assistance please feel free to ask us. Thank you. 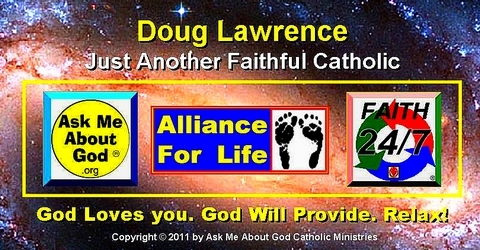 I’m a former brother religious and was about 20 when Vatican II started. Before Vatican II most people spent the time in Mass praying the rosary or doing devotions. The use of the vernacular changed that and the people could understand the priest. Also, “saying” Mass with the back to the people didn’t invite participation which is what “Sacrosantum Concilium” tried to bring up. That there were a lot of innovations is true. However, I was born in the Caribbean and even though I’ve been in this beloved country for over 45 years I must realize that the Council tried to adapt the Liturgy to the various cultures. I remember Pope J.P. II celebrating the Eucarist, for example in Africa, and seeing people there half naked worshipping God with their music and religious traditions. As long as the music part is done in a dignified manner and there are no crazy innovations, I’m certain that the Tridentine Mass should be left only for special occasions and/or offered at other times than the regular Masses for those who are interested. I can’t picture my kids and grandkids being able to participate in a Tridentine Mass without actually hating it and leaving the Church altogether. My brothers and sisters, we must be realistic. Pope John XXIII – I still remember his words back in 1963- said: “Let’s open the windows of the Church and let the Holy Spirit in…” Let’s get involved with “The New Evangelization”, being careful not to get out of the bounds set by the same Holy Spiritu. You have a right to your opinion, but based on the obvious results, the aftermath of Vatican II has been nothing less than a scandal and a sin – for the whole world. As for the Mass – I was a daily Mass goer and Holy Communicant before the changeover. Even as a grammar school child, I had no problem following along in the Missal. After the change, the same thing remained true – except for the new “hootenany” music, the inane banners, and the new emphasis on doing everything differently – for the sake of change – much like the “Philistines” who currently run the U.S. government. As for Pope John XXIII – it’s pretty hard to evangelize in a newly disorganized, schismatic, know-nothing Church, which had recently been plunged into a prolonged state of confusion and anarchy by a bunch of clerical revolutionaries who had no more right to experiment with the venerable Catholic Church than the Nazis had to use humans as medical “Guinea pigs”. Scripture tells us that there will be a time when the Holy Spirit says “enough” – and then subsequently withdraws – leaving us to our chosen fate. Based on the dismal current state of the Catholic Church – and the world – we might now be living in those times. Thank you for writing and Happy Easter!